For a good number of people in 1985, The Firm were considered a disappointment. This was because many people, including yours truly, thought that a band with both Paul Rodgers and Jimmy Page in it was going to be some sort of Led Zeppelin/Bad Company hybrid. The Firm’s debut album certainly wasn’t that. 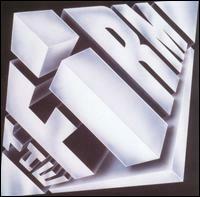 What Rodgers and Page did was make their own unique music with the help of a great rhythm section featuring Tony Franklin and Chris Slade. 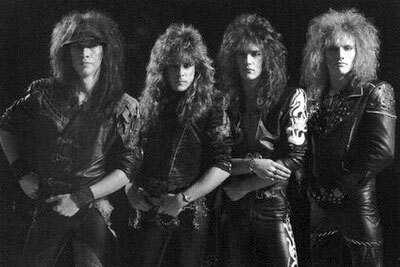 The album’s first single, “Radioactive,” put many metalheads off exploring them more. This is a shame because I knew that there would be better things to come on the album and I was right. This is not to say that there isn’t anything wrong with “Radioactive,” it’s a good song in it’s own right. It was just the fact that many people were expecting the song to be the love child of “Stairway to Heaven” and “Bad Company” and “Radioactive” doesn’t come close. I still like the song. Once one has thrown away their expectations of what they thought this album was going to sound like and listen to it with an open mind, one would find that it’s a damn good album. Okay, it’s definitely not heavy metal, more of a straight forward rock album and if you listen closely, you can still hear some Bad Company influence. Especially in the songs “Make or Break, which is the hidden gem and “Satisfaction Guaranteed.” Furthermore, while Jimmy Page doesn’t nail down the solos like in the old Zeppelin classics like “Stairway” or “Whole Lotta Love,” he still shows he can wail on the guitar. It’s just with The Firm, it’s not as pronounced like it was with his former band. “Money Can’t Buy” is a fine example. Proof that Rodgers, Page, Franklin and Slade were determined to forge their own path in the rock world is their cover of the Righteous Brothers classic, “You Lost That Lovin’ Feeling.” The coolest part in the song is Jimmy’s guitar solo supported by Tony on the fretless bass, good stuff. Also, Paul’s vocals are as good as ever on every song on this album. Does anyone have a time machine I could borrow? 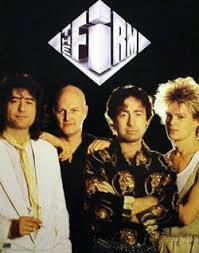 If so, I would like to go back in time and say to all of those people who rejected The Firm back in 1985 because they didn’t sound like former bands, “Look, they’re not like Bad Company or Led Zeppelin, get over it!” Because their first album shows what they can do on their own. Last week, I happened to spend a few days in the great Northern English city of Newcastle Upon Tyne. Mrs 80smetalman really loves the place and goes every year but because of other commitments the previous years, this was the first time I went there in four years. First, I did attempt to go to the pub, The Broken Doll, which my good buddy 1537 recommended but it was too far away from my hotel and there were no Metro stations in that area. I did try. 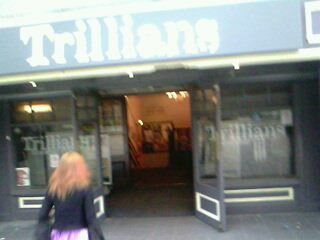 Therefore, I had to settle for Newcastle’s premiere rock pub, Trillian’s. 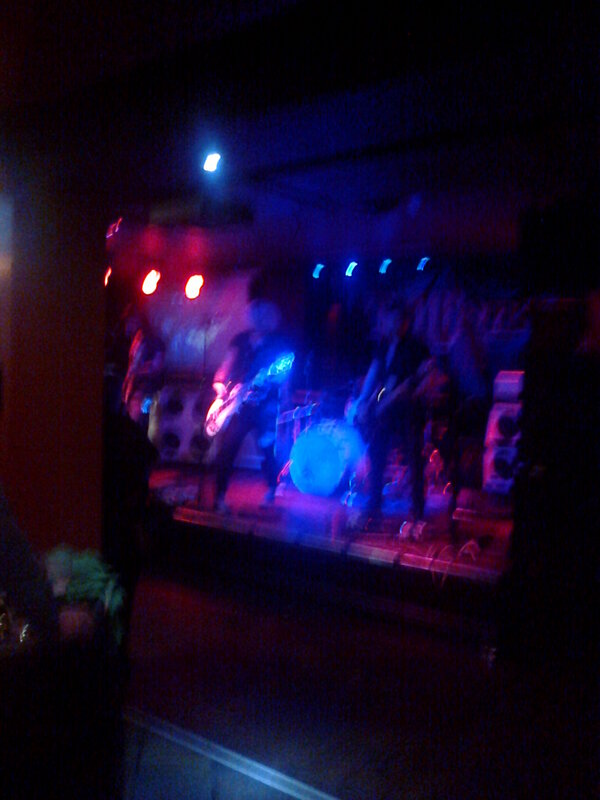 I ventured there my first and last nights of my stay and I was definitely glad I went on the final night because I got to see two really cool bands. This photo was taken four years ago. Trillian’s still looks exactly like this. I didn’t see the girl in the photo this time around. 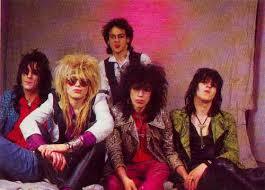 The first band to hit the stage that night was a band called The Distorted. Now one could think that this band was trying to be like The Disturbed, especially when they played a cover of “Down With the Sickness” halfway through their set. 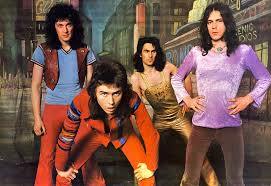 However, I noticed a heavy influence of Black Sabbath in their music as well. The Distorted proved to be a very tightly knit quartet with all the tools necessary to go a lot further; a strong rhythm section, a guitarist who can shred and a good lead singer with some personality. He could connect with the audience, just a shame there weren’t more people there for him to connect to. 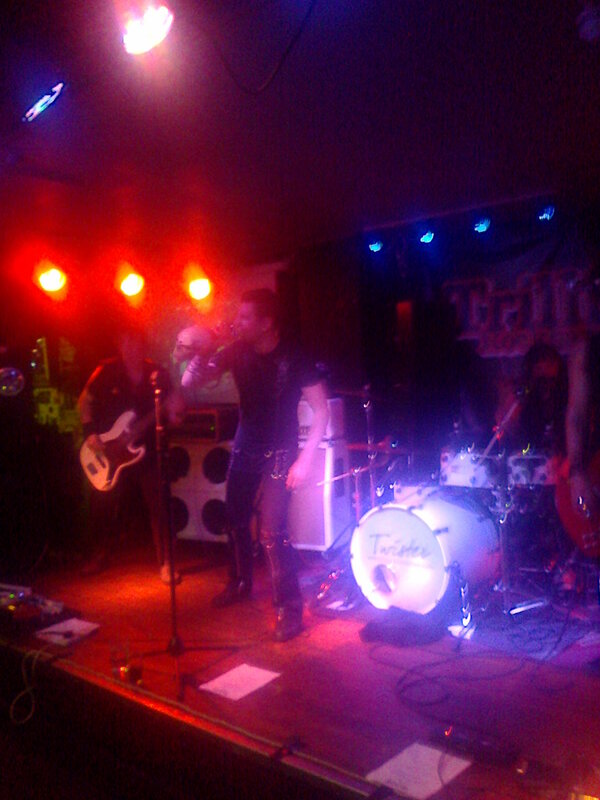 On one song, he put a skull on his wrist and acted like it was doing the singing, cool, I thought. I really enjoyed this band. 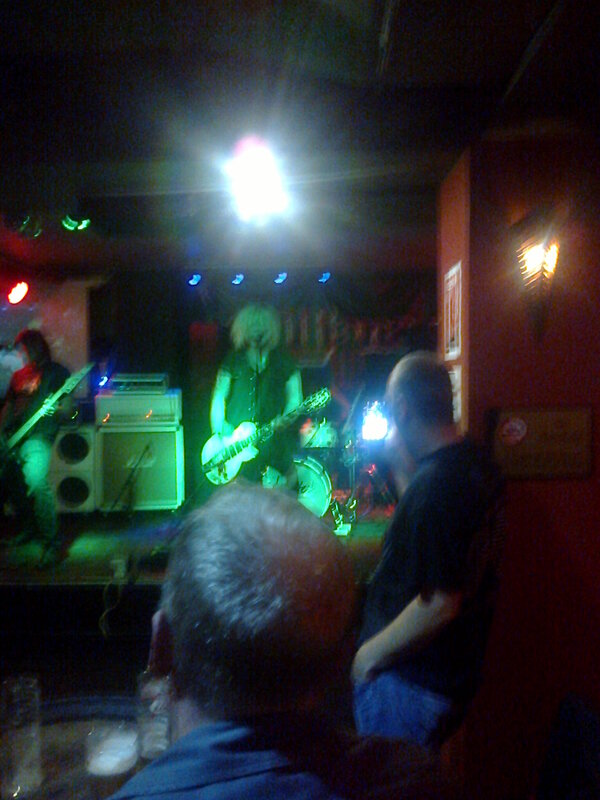 Later that evening, I managed to catch up with the guitarist, a really cool chap, who told me that they nearly got to Bloodstock this year. They made it all the way to the regional semi-finals. Well with what I heard at Trillian’s I hope they go all the way in 2017. Here is another example why I stopped trusting commercial radio or MTV for all of my music liaisons. 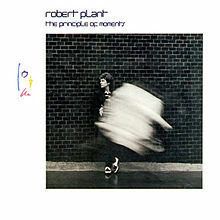 In 1983, the two singles from Robert Plant’s “The Principle of Moments” album, “In the Mood” and “Big Log” got a lot of airplay on MTV. 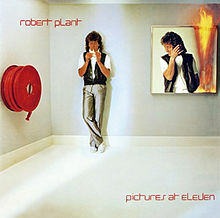 If I were to judge this album just on those two songs, I would have thought that Robert Plant had completely abandoned his roots and was making mellow out, commercial songs. I know that even then, Robert wasn’t comfortable when people like me said that his former band, Led Zeppelin, were one of the founding fathers of heavy metal but this album shows that he didn’t totally abandon his beginnings. “The Principle of Moments” is a long way from the heavy metal sounding delights of Led Zeppelin “II” or “IV.” Nonetheless, it is still a good album with some rock delights for all. When I heard the introduction on the opening song, “Other Arms,” I found myself checking the credits on the album because I was sure that Robert had gotten Jimmy Page to play on it. Obviously, I was dreaming but saying that, Robert Blunt does a magnificent job on the six string all throughout the entire album. Does he site Jimmy as an influence? Don’t know but it might be worth checking out. Maybe it’s me mellowing in my old age, (I’ll be halfway between 50 and 60 in three weeks), but listening to “In The Mood” again after all these years, I’ve decided it’s not as bad as I thought back then. In fact, there’s a pretty tidy guitar solo from Blunt which has me wondering how I missed something like that back in 1983. I’ll blame the weed. 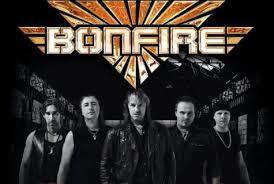 Another really good standout track is “Wreckless Love” which is possibly the hardest rock tune on the album. However, other songs like “Messin’ With the Mekon” and “Horizontal Departure” come fairly close. “Thru With the Two Step” is another interesting song on the album. 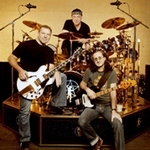 It starts out like it’s going to be a mellow one, more in the style of Led Zeppelin’s later progressive years. Then it goes into a more hard blues sound with a killer guitar solo from Blunt. God, I have to check this guy out more. 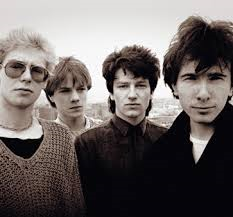 The only stone left unturned is the vocals of Plant himself. 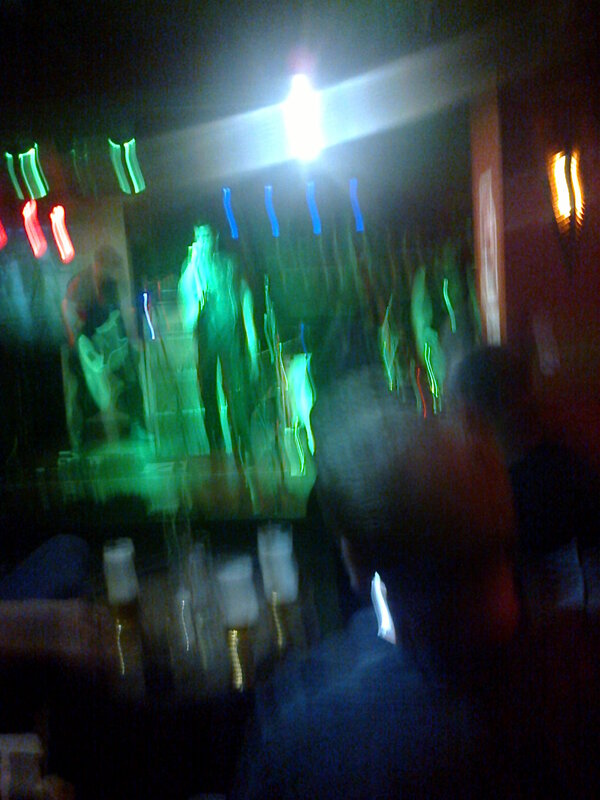 They are as good as ever here. Sure, he doesn’t scream like he did back in the 1970s but he still shows he has a decent range. Unlike “In the Mood,” my thoughts haven’t changed much on “Big Log.” Maybe it’s that image conjured up from the video of Robert Plant swimming in the pool. But don’t let that spoil your enjoyment of “The Principle of Moments” because it is a good album. 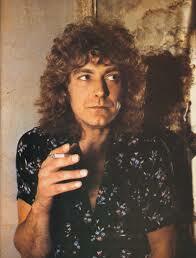 Classic Robert Plant. First of all, let me say a well done to Deke for picking out all four albums on display in the last post. He gets 50 80smetalman points for that, not that they’re worth anything in the real world. For those who didn’t get all four and many got some, the albums were Van Halen I, Twisted Sister- “Stay Hungry,” Led Zeppelin- “Remastered” and Grace Slick- “Dreams.” Thank you all who participated and I hope everyone is happy that they finally got to see those famous ammo cans. It is really a cool way to store cassettes. Now onto the album. “Blackout” by the Scorpions might have been released in 1982 but it brought my 1983 in rocking style. I spent the first seven weeks of the year at a small camp near Mt Fuji, Japan so music news was something scarce. It was when I returned to Okinawa that I heard this album though I can’t remember if I first heard it at Sgt Pepper’s or Kin Loo. It’s not important, what was important was the fact that when I heard “Blackout,” I was totally blown away. It just happens that the album starts out with my favourite Scorpions song of all time. The title track is such an energy producing song that it’s only right that it should open the album. I mean talk about power chords. 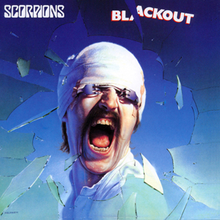 What is really cool is that after your ears are pummeled by “Blackout,” the album doesn’t stop to catch a breath but immediately goes into another great song, “Can’t Live Without You.” This song praises the fans who buy Scorpions records and see them live. And as the song goes, I do play an imaginary guitar when I hear these songs. Things continue nicely over the next four songs. The single, “No One Like You,” follows on perfectly from its predecessors and goes very well into the next few after. After those three harder songs, things go slightly melodic with my second favourite Scorpions of all time, “Arizona.” The power chords are very melodically done in such away that I just say ‘wow’ each time I hear the song. Maybe they should have released that one as a single. After “Arizona,” there is what seems to be a concept song in “China White” before closing with the eerie sounding ballad, “When the Smoke is Going Down,” which is the best song to end things with on this great album. 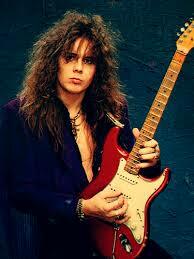 One constant which is heard on every song on “Blackout” is the great lead guitar work from Mathias Jabs and at times Rudy Schenker. Jabs has been called underrated by many metal fans and the way he smokes the finger board here supports that statement. As always, I won’t take anything away from the rest of the band, especially as I have always considered Klaus Meine to be one of the best in the business. I can’t think of any way better to start of a year than with “Blackout” by the Scorpions. It is such a great metal album and it brought my 1983 in just right. However, even after all these years, I still don’t grow tired of it. National Anthems inspire love for one’s country. Every one I’ve heard definitely does that. Some are hard driving like the US, UK or Canada while others are more somber like Japan or Wales. Even Italy’s which reminded me of a parade or Spain’s which sounds like a sixteenth century dance still can inspire love for the country. However, most national anthems are over a century old and while there’s nothing wrong with that, since they still inspire nationalistic feelings, I wonder if more modern ones could be used. See, I have come to associate certain songs by certain bands with the country they come from and that has me thinking. Maybe these songs should be national anthems for their country. Note: For Brazil, it would definitely be something by Seputura and France would be a suitable song by Gojira. While this is meant to be a little bit of fun, I’m sure some of you are cracking your knuckles and limbering your typing fingers to contribute some of your own suggestions. Well, I’m waiting. 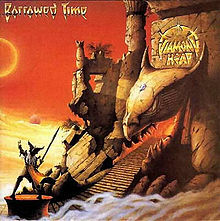 “Borrowed Time” by Diamond Head another album that passed me by in 1982 but then again, I had never heard of the band until a year later when I came to Britain and happened to see them at Donnington in 1983. While I thought they were okay, I still never got around to buying any of their albums. When I came to Britain to stay in 1986, it was only then I got to experience them because two of my new friends were heavily into them. 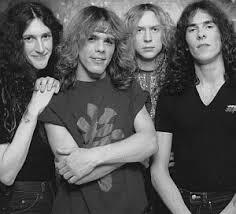 In fact, one was nicknamed Diamond Head Andy because of his love for the band. Although the character based on him in “Rock and Roll Children” is called Diamond Head Martin. Even then, I can’t say that I really listened to them. That is why, like a good number of the albums of 1982, I am only listening “Borrowed Time” for the first time before making this post. What is my impression of Diamond Head? Well listening to “Borrowed Time,” my first reaction is Led Zeppelin. 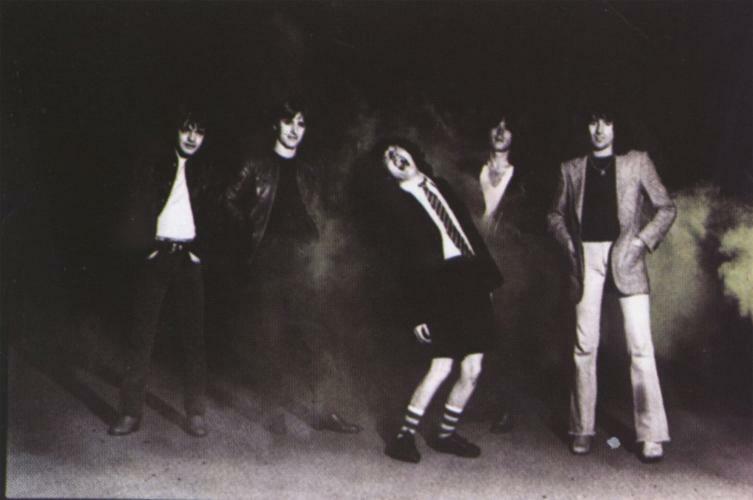 It is very obvious that Diamond Head draw a major influence from the great Zep, not that I can blame them for that. Lead singer Sean Harris sounds quite a lot like Robert Plant on most of the tracks and guitarist Brian Tatler has a style very similar to Jimmy Page. The tracks which prove the point the most are “Borrowed Time” and “Don’t You Ever Leave Me.” However, there is a little of the Zeppelin influence in the other tracks too and that includes the closer, “Am I Evil” which any metalhead knows was covered by Metallica. 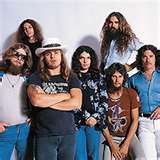 But calling Diamond Head Led Zeppelin clones would be grossly unfair and inaccurate. Sure the Zep influence is definitely there but they aren’t clones. Take “Am I Evil” for an example. There is some good power metal riffs in that song that I can see why one of the most famous thrash bands in the world would cover it. 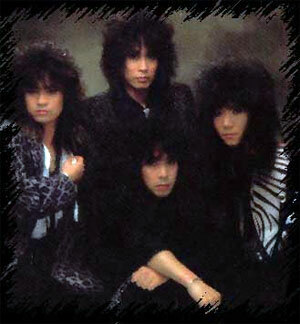 The same can be said for “Lightning to the Nations.” That is another song where Diamond Head put their own stamp on it. Comparisons and contrasts aside, I found “Borrowed Time to be a great album to sit back and bang your head to and I have to give credit to Tatler as a guitarist, he can cook. My trip through 1982 has been full of pleasant surprises for me. Because so many albums passed me by that year due to my military commitments, (though I can’t use that excuse here), I have had the pleasurable experience of having to catch up on them. So far, every one of them has been a good experience but I have to say that Diamond Head’s “Borrowed Time” has been the best surprise thus far. This album is definitely more Led Zeppelin in the late 70s and I think that Robert wanted to continue in this vein and he does a very good job in doing so. The opening track, “Burning Down One Side” is a sure fire reminder of the Zeppelin days from the opening riff. It definitely makes a statement for the rest of the album. However, Plant does seem to venture more into new territories as well. The slower second track “Moonlight in Samosa” bears testimony to this. Things go a bit more up tempo with “Slow Dancer” and it is the first track where I was tempted to begin comparing guitarist Robbie Blunt to Plant’s former band mate. Fortunately, I was able to resist temptation and make judgement on Blunt in his own right. My verdict: he can certainly play guitar as evidenced on not only “Slow Dancer” but “Worse Than Detroit” and “Fat Lip” and no, Sum 41 would not make a cover of that last song twenty years later, not even close. Sorry, forgive my weird sense of humour. However, those last two tracks are further evidence of Plant wanting to go forward into new areas. Then, almost as some anti- climax, the closing song, “Mystery Title” reminds me of two Led Zeppelin classics, “Trample Underfoot” and “When the Levee Breaks,” not that I’m complaining. It was always great to see that Robert Plant had moved on after Led Zeppelin, as did Page and Jones. He managed to find some good musicians to help him on the album and got Collins and Powell to play drums which was an added bonus. “Pictures At 11” marked a triumphant return for Plant.